Jordan Brand is set to release the popular edition of the Air Jordan 14 shoes this weekend and it is expected to get a lot of attention. 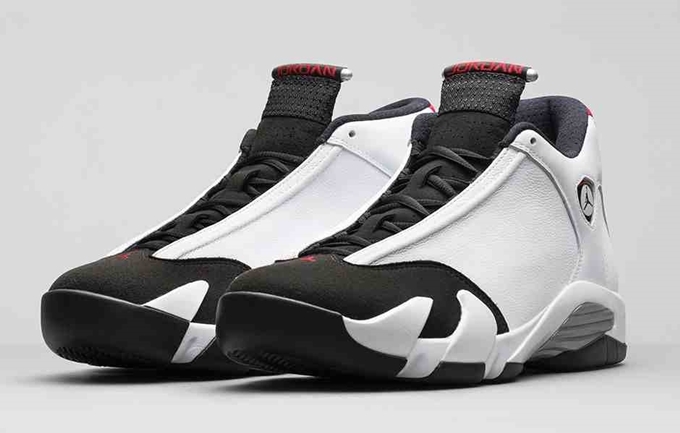 Coming out is the Air Jordan 14 Retro “Black Toe” that is officially listed as the White/Black-Varsity Red-Metallic Silver colorway of the shoe. It features a white-based upper part accented with black, varsity red and metallic silver hints throughout the body. This excellent-looking shoe will be released on Saturday, September 20, and will be available in select stores worldwide for $170 per pair. It will also be available in gradeschool sizes up to toddler sizes.